If you’re looking for a way to instantly make your outfit look cooler or more stylish, just add a vintage tee. Vintage tees are everywhere right now from the street style scene to celebs and fashion bloggers. I think they’ve always been cool but they are so popular right now, it can get tricky to finding the best vintage t-shirts. 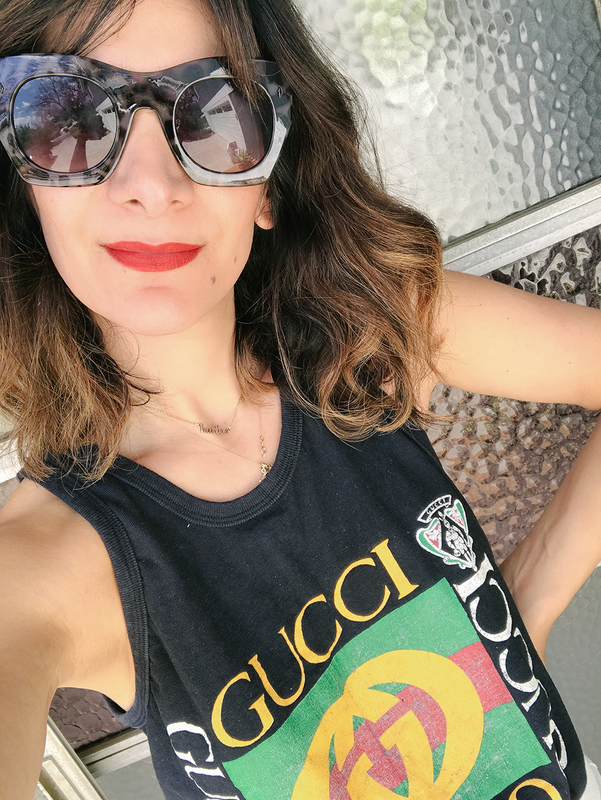 Here’s a guide to shopping for vintage t-shirts whether you’re a newbie to vintage or a long-time fan. Although vintage dealers hit thrift stores on a regular basis and as soon as inventory hits the floor, they are still your best bet for finding vintage tees for cheap. Come up with a list of shops near you and come up with a regular schedule based on when inventory is put out. Always spend a lot of time looking at the entire store, every aisle, department, every. single. time. A lot of vintage shops are curated thrift stores in that you’ll find a lot of great pieces, but you’ll pay a mark up since someone else has done the hard job of sifting through a lot of duds to find gems. If you’re looking for trending tees, then the vintage shop is your best source to get the it-girl tee without spending too much time to look. Flea markets are so hot right now for vintage pieces, but beware that not everything at the flea is actually vintage. Some pieces look vintage, but they may just be newer pieces that have been worn to look vintage. You can still find authentic vintage tees, just be prepared to look for a while and pay more than the thrift store. Authentic brand or concert tees are from a particular year and tie to a specific concert or tour. Most authentic tees will have a label stating the date. If band tees aren’t your thing, then shop for college tees. The most popular ones are Ivy League tees such as Harvard or Dartmouth. They are cheaper than concert tees, plus they are super soft. A little wear and tear adds to the character of a vintage tee, but don’t spend good money on something with a lot of holes. Just think those holes will just get worse after a few washes. I avoid tops with yellow armpit stains, but if it’s something I absolutely love, then I follow these tips to remove the yellow. Always shop by measured size, not labeled size when it comes to vintage. Modern and vintage sizing vary so much, so you always want to try on a tee to make sure it fits. I like a more fitted look but I also like rolling up sleeves if it’s an extra baggy tee. Before you buy, make sure that if you’re buying a concert tee, that it actually existed! A quick Google search on your phone or computer is a must! Don’t stop at concert, band or college tees. I have Disneyland tees and even ones with funny logos and graphics. These types of tees are easier to find and much cheaper.